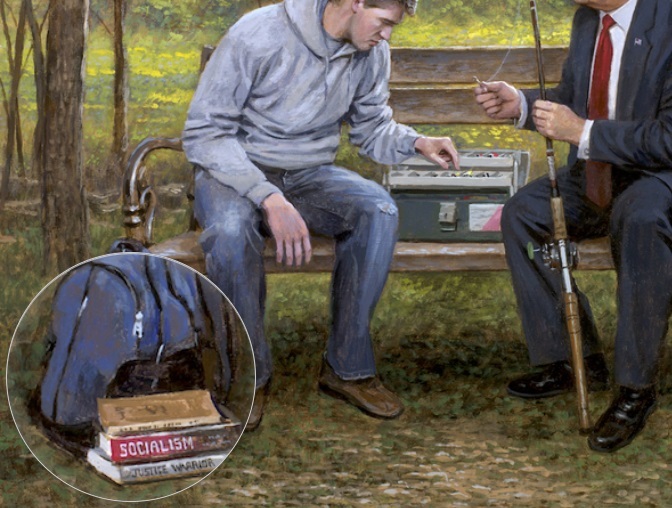 Jon McNaughton, the artist who achieved acclaim for his 2011 painting “The Forgotten Man,” which depicts an aloof Barack Obama gazing into the distance while the founding fathers gesture beseechingly toward a downtrodden man seated on a bench outside the White House gates, is back in the news. His latest presidential oeuvre features Donald Trump as its focal figure, while subtly commenting on the snowflake mentality, which holds back many young liberals. 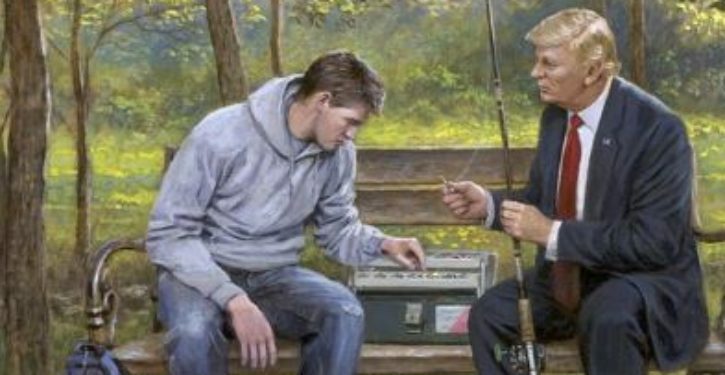 The painting, titled “Teach a Man to Fish,” shows a young man seated on a bench with President Trump. The two figures are separated by a fishing tackle box. Trump offers a fishing pole to the young man. The message is from the old proverb “Give a man a fish, and you feed him for a day; teach a man to fish, and you feed him for a lifetime.” In this context, the sage advice is applicable to the several worldviews of Republicans, who favor honest pay for an honest day’s work, and Democrats, who support a nanny state. Notice the titles on the two textbooks. I imagined President Trump sitting next to a young college student. His pack is beside him and his Socialism and Justice Warrior books laid aside. He listens to Trump’s proposal and looks at the different bait he can use to catch his fish. Trump offers him a fishing pole. Each of us has the freedom to choose our own destiny. The only remaining question is whether the young man will choose the path of self-reliance or will he adopt the victimist mentality of those looking for handouts in a socialist would? 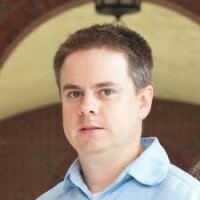 Rusty Weiss is editor of the Mental Recession, one of the top conservative blogs of 2012. 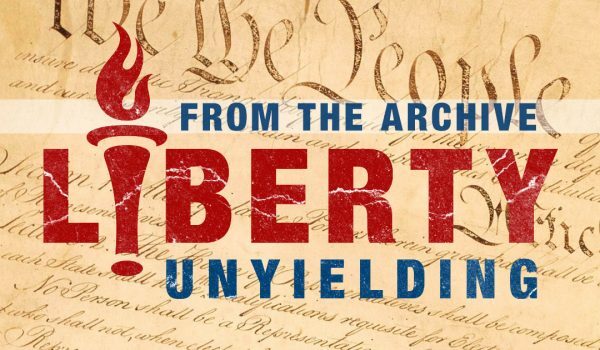 His writings have appeared at the Daily Caller, American Thinker, FoxNews.com, Big Government, the Times Union, and the Troy Record.